Reading the chart above, I bet we can all safely put ourselves into the topmost section of the triangle. Writing this blog, among other things, certainly qualifies as self-actualizing on my part. The funny thing is that the pyramid may seem to be built on shifting sands these days. With the economy stumbling along, there are a lot of folks who aren’t feeling that safe in terms of resources and employment. And while the days of the legions of unemployed in decaying suits asking if you can spare a dime may be behind us, brother, they are at the front of our thoughts almost every day. Mrs. E. and I honeymooned aboard a Windjammer cruise (the vessel and its crew are no longer with us, a tremendous loss.) Sometime around mid-week, we took a hike through a rainforest in the BVI’s. The hike was a bit grueling, to tell you the truth, but the waterfall was spectacular, maybe even worth the wrenched knee that continues to plague Mrs. E. to this day. At noon, having climbed from the dense and humid thickets, we broke for lunch. A quick head count revealed that while all our fellow passengers had made it, only half of the boxed lunches had. The lunch boxes were bursting with those overstuffed sandwiches on homemade whole grain breads. Piled high with sprouts, meats, avocados, onions, tomatoes, exotic cheeses, you could barely get your teeth around the things. The desserts were glistening with chocolate and meringues. A drink, bag of chips and a pickle rounded out our provisions. Mrs. E. and I glanced around and immediately suggested that we share our lunches. A quarter of a sandwich was going to be more than enough. There was more than enough to go around and we were just going to catch the jitney back to the tenders and the boat. We had at most an hour to lay around and digest while drinking in the scenery. Another couple didn’t blink and immediately doled out half of their lunches to the others. Both men turned out to be from Richmond! Leave it to Southerners. We just love to host. Two Canadian couples joined in, with all the good humour for which they are known… I bought them all a round of cold beer back on board The Fantome. Most of the rest of the half of those who were given lunches turned their backs to us and those who were going without. You thought “Lord of the Flies” was an exaggeration? I can’t imagine going hungry. I’d gladly give up my rations for my kids, that goes without saying. So, too for my family and then my friends. Especially when I know that the situation is temporary. Today, Pigtown Design and I are asking that you share a little with those who have taken one on the chin during this economic downturn. Think of it as adding a little water and packing down the shifting sands of the “Safety” section of the pyramid above. The trouble is, the food banks are seeing more people than ever asking for help and corporate and individual donations are at an all time low. There just isn’t enough food to go around. Turning my back wouldn’t be a very elegant gesture. I will donate today and I hope that you will, too. I’m not asking for your last dime. Just the price of a cup of coffee. Or less, depending on where you get your coffee… . It may seem like a drop in the bucket. It is not. One dollar (USD) buys ten pounds of food or provides seven meals for those who are reduced to asking for help from the nation’s foodbanks. USD$25 provides SEVENTY-FIVE meals. You can also help out our neighbors to the North, a little bit of thanks on behalf of the Canadians who joined ranks and helped feed a bunch of hot, sweaty tourists one day in the BVI’s. We’re calling today April Food Day. Please click the banner below and click again on the site to donate. Leave a comment when you do. Even anonymously.Thank you for reading and for your help. And, if you’ve already donated, I can’t thank you enough. You have done a very noble thing. Together, we will weather the storm. This entry was posted in Elegantology and tagged April Food Day, Canada, Maslow's Hierarchy of Needs, Windjammer Cruises. Bookmark the permalink. Chris – Just wanted to thank you, along with Meg, for organizing this blogger Food Day. Your honeymoon story is amazing. I can remember being taught as a kid never to eat in front of others unless you offered them some as well. At my kid’s pre-school they used to do a wonderful thing. The children sat a big round table. For dessert the teacher would present a platter of fruit or cookies and the kids would take turns looking at the amount and then passing out enough for everyone. If there was extra left over for the “second round” the children would look at how much was left, find out who wanted seconds, and then, if necessary, cut up the remainders so everyone could have some. Chris – Thanks to you and Meg for giving us something to do this April Food/Fool’s Day that doesn’t involve plastic wrap; it’s a great cause and it’s been heartwarming to see the blog community rally behind it. 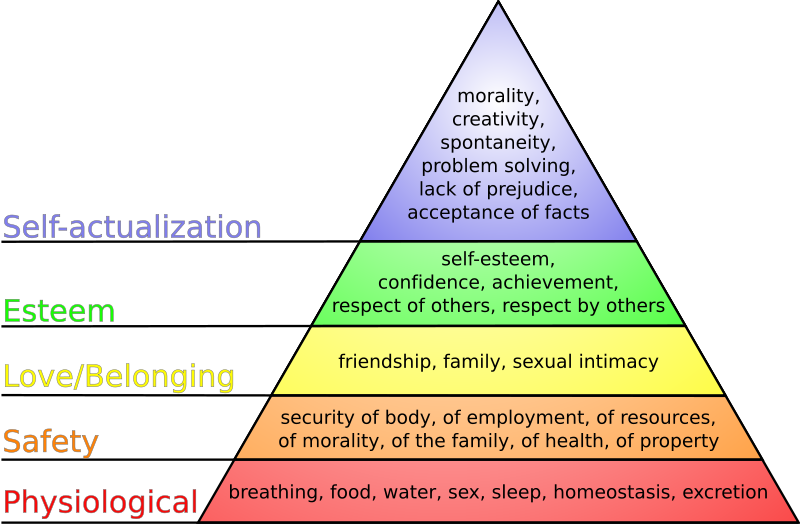 Thank you too for refreshing my memory on Maslow’s Hierarchy of Human Need, I think the last time I looked at it was a college theology class. Thank you for all of your hard work and efforts!! Southerners, always at the ready to host a party! I recall my college days. It was the last two weeks of the spring semester and our fraternity House Manager hadn’t been very judicious with the budget. While we didn’t starve, we did fend for ourselves with limited pantry stores and no cook. There were several meals comprised of scrambled eggs, fried lunchmeat and, for some reason, canned black olives. Yum! Thank you for the inspiration you and fellow bloggers provide. Found your blog via Paris Atelier and The April Food Day and enjoyed the visit. Maybe next year, this idea could be stretched to Canada as well? This dire issue is everywhere and you have an excellent idea. Will visit again. Welcome Ms. Chase. Thank you. The site also has a link to Feed Canada. Having attended the Canadian section of an International School in Holland, you are near and dear to my heart. I posted April Food Day on EA’s Facebook account today in honor of the endeavor. Neophyte though I am at FB, it seemed the least I could do. I loved your personal account on nourishment for the body and the soul. Thank you. eA, I’d use the phrase “noblesse oblige” if it didn’t have such negative connotations in our democratic society. Instead I shall say that it is a very noble gesture. Thank you. OK Doug, your fraternity days were significantly different from mine. They sound far more elegant, canned black olives or not. Athenaeus, it is we who should be thanking you. Notting, your children are being taught very well. As were you, what’s bred in the bone will out. Thank you for your efforts on behalf of the hungry today. What a fantastic idea. Thanks for starting this. I’ve made a donation and encourage others to do the same! “Man is heaven’s masterpiece” and to respect one another with care is truly wonderful. Thank you so much for organizing this–I know it has made a real difference. Chris , much thanks to you and Meg for starting this wonderful project. I posted on my blog and donated; I hope that everyone will do their share. There are so many generous people out there, and those who do not have that generosity of spirit are not on my list of friends. An excellent plan, a most worthy cause, and a thoughtful post. My most sincere thanks to all who participated in the project. For the record, it was the second martini of the evening that made me think we could solve world hunger. Meg, at Pigtown-Design is the driving force here. Without her tireless efforts, April Food Day would have remained a juniper scented dream. She made it all very easy and very elegant. Yes, good show all round!! and it just demonstrates the virtues, for some, in a well-made martini when striving at the top end of the pyramid. A wonderfully eloquent posting…for a very worthy cause. I especially liked the pyramid and the mention about the Windjammer cruise. I was a bit late with this but added a link to your site as well as Feeding America. Thank you for your efforts. Better late than never! I hate to admit it, but the need isn’t going away anytime soon. Well done.